Transmission (b.1983) is an artist-run organisation that supports and is supported by its membership and surrounding communities in Glasgow and beyond. Operating in multiple capacities, Transmission works with artists in the production of exhibitions, events, exchanges, residencies and publications. It also shares various resources with its membership in order to facilitate activities outside of its own programming. As the longest standing artist-run space in Glasgow, it houses an archive of materials connected to the activities of the gallery and its membership, whilst remaining active a present-day social hub. Transmission labours under the banner of autonomy - but is deeply (inter-)dependant on a variety of factors and players that determine the operational parameters of the space and its activities. As a registered charity, it is held together by a combination of state funding, voluntary labour, and the on-going construction of its community. It is constitutionally engrained that all Transmission activities and resources remain free, and that each and every person that works with it receive fair pay, now and forever. It is one of the inherent contradictions of Transmission that whilst dogmatically enforcing fair pay for artists and creative practitioners, it is managed and programmed by a voluntary committee of six people, each of whom joins successively and may serve for a maximum of two years. Anyone can become a member of Transmission. The membership is currently comprised of around 300 artists and interested parties in Glasgow and further afield. As a whole, it constitutes the collective body that shares, cares, and thinks critically around the programming and functioning of Transmission, forming both the primary audience and users of the space. Transmission is deeply committed to fostering qualitatively different working conditions for artists. In eschewing the dogma of productivity, performance targets and qualitative evaluations of artistic merit, it strives to nurture the infinite amounts of background work that goes unrepresented and overshadowed by the final, delivered 'product'. Transmission seeks to avoid creating frameworks that directly or indirectly encourage competition or competitiveness and actively discourages artists from performing ever more uncompensated administrative work. It does not have an open call procedure for programming and only accepts brief expressions of interest rather than fully formed proposals. 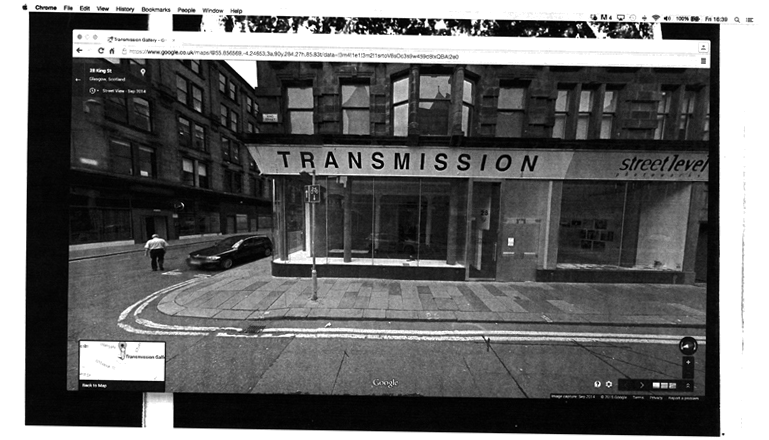 Transmission was set up in 1983 by graduates from Glasgow School of Art who were dissatisfied with the lack of exhibition spaces and opportunities for young artists in Glasgow. It provided a platform for new artistic practices that where under-represented in the city at the time. More recently Transmission has been looking for ways to redefine the role it already plays within the city, and to open up potential new functions it can perform in order to better utilise it's status, organisational autonomy and relative institutional power. Transmission's membership body is at the core of the spirit and mission of the organisation. The membership forms an active community and critical audience around the gallery's activities and management. Currently there are over 300 members living in Glasgow, the UK, and Internationally with varied levels of engagement depending on their interests and location. Anyone can become a member for an annual fee which may, if preferred, be paid in kind by invigilating during an exhibition or by volunteering in another capacity. Please don't hesitate to contact us with what this in-kind volunteering could be and we will strive to meet everybody's access needs. In addtion to the payment methods listed above, we also offer memberships at no cost for individuals that have experience with the asylum system. Transmission is run and programmed by a voluntary committee of six people who are accountable for all decisions made. The committee acts on a rolling basis, with each member working for a maximum of two years, after which new committee members are invited through recommendations and nominations. The following is a list of everyone who has served as a Transmission committee member from 1983 to the present day. The second committee entirely replaced the first but after that the groupings are less defined. Some people stayed for the standard two years (occasionally more), others left after a few months. At times there were only two people on the committee, the standard is now six. The days of trekking through wetland and forest had made my body tapped of nearly all energy. My cloak, stuck matt against my back, felt heavy. I was becoming dizzy, which didn’t help with the feeling of being lost. The sweat on my brow was now mixed with that of an oncoming fever. While securing what shelter I could, my eyelids weighed closed. I dreamt a dream, seeing youthful faces in an ether of rancour and delight. Being born is hard. This is hard for me. 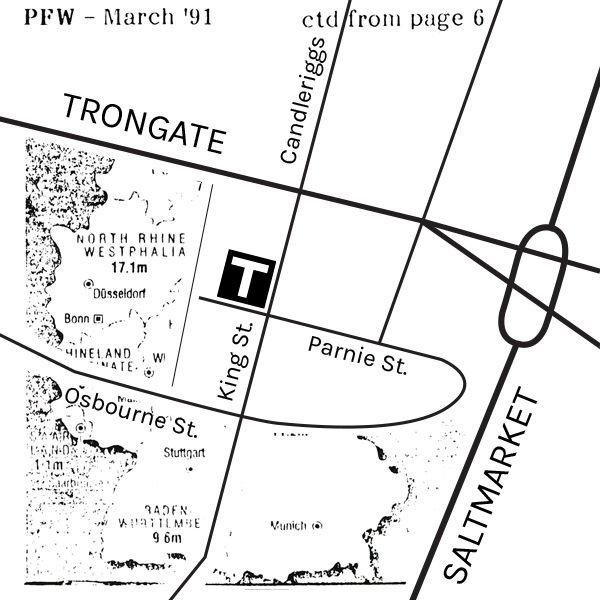 I read about this city once that was built inside some kind of algebraic labyrinth. 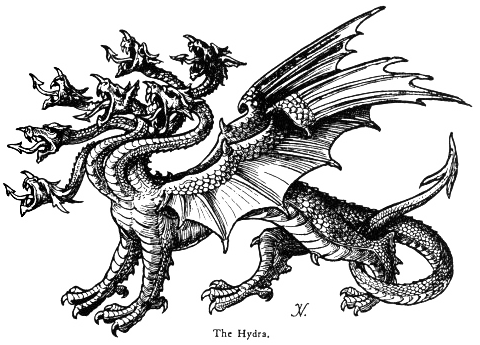 Its design was said to have inscribed a sigil, which turned the city into a geographic asymptote. The mathematics or engineering I cannot claim to know, but it was said that any attempts to leave or enter the city were impossible, and that no one ever managed to fully arrive nor leave the city behind. It was through these capacities that I found the operation of the gallery to be a shape-shifting and form-finding one. I could only imagine a thing so perfectly misshapen. ‘The Banner of Autonomy’ is an arcane artefact. As its’ name suggests, sewn within its fabric is the incantation of autonomy: a removal enchantment, which breaks the spellbinding of the laws and rituals that be. It is a powerful counter spell, if not for the limited duration of its effect and the subsequently required vigilance for sustaining repeated use. The banner, being the vessel for this enchantment, seems to aid against these weaknesses by acting as a symbol of warding, and a form of deterrence. The artefact is intended for the use of a group, but can also adorn an individual. These companion texts have been commissioned by Transmission gallery. The gallery has invited an artist to respond to the ‘Info’ section of their website in the form of footnotes or annotations. These written contributions have the lifespan of one year, after which they are replaced by a new set of annotations, written by another artist. My name is Brandon Cramm. I am an artist, living and working in Glasgow. My written contributions have taken the form of ‘flavour-texts’. I am using this ‘background work’ annotation, same as the previously commissioned artist, to address the framework of this project, as well as, provide some personal information. I would like initiate, the use of this space to keep a running list of the artists commissioned to write for this project. With complete disregard for intention, some arrows fly straight, others not so much. No matter the region, courting rituals always leave oneself feeling a bit vulnerable. Barbarian, Bard, Cleric, Druid, Fighter, Monk, Paladin, Ranger, Rogue, Sorcerer, Warlock, and Wizard. From secrets held deep within the temple, it was discovered that even the spirits had spirits. And that, all the way down, there was nothing more or less essential. Everything appeared, and was indeed, equal until following our own divine or mad choosing. clicking on ".highlight-text-dismiss" removes class "visible" on "#highlight-1-text, #highlight-2-text, #highlight-3-text, #highlight-4-text, #highlight-5-text, #highlight-6-text, #highlight-7-text, #highlight-8-text, #highlight-9-text, #highlight-10-text, #highlight-11-text, #highlight-12-text, #highlight-13-text, #highlight-14-text" clicking on "#highlight-1" toggles class "visible" on "#highlight-1-text" clicking on "#highlight-1" removes class "visible" on "#highlight-2-text, #highlight-3-text, #highlight-4-text, #highlight-5-text, #highlight-6-text, #highlight-7-text, #highlight-8-text, #highlight-9-text, #highlight-10-text, #highlight-11-text, #highlight-12-text, #highlight-13-text, #highlight-14-text" clicking on "#highlight-2" toggles class "visible" on "#highlight-2-text" clicking on "#highlight-2" removes class "visible" on "#highlight-1-text, #highlight-3-text, #highlight-4-text, #highlight-5-text, #highlight-6-text, #highlight-7-text, #highlight-8-text, #highlight-9-text, #highlight-10-text, #highlight-11-text, #highlight-12-text, #highlight-13-text, #highlight-14-text" clicking on "#highlight-3" toggles class "visible" on "#highlight-3-text" clicking on "#highlight-3" removes class "visible" on "#highlight-1-text, #highlight-2-text, #highlight-4-text, #highlight-5-text, #highlight-6-text, #highlight-7-text, #highlight-8-text, #highlight-9-text, #highlight-10-text, #highlight-11-text, #highlight-12-text, #highlight-13-text, #highlight-14-text" clicking on "#highlight-4" toggles class "visible" on "#highlight-4-text" clicking on "#highlight-4" removes class "visible" on "#highlight-1-text, #highlight-2-text, #highlight-3-text, #highlight-5-text, #highlight-6-text, #highlight-7-text, #highlight-8-text, #highlight-9-text, #highlight-10-text, #highlight-11-text, #highlight-12-text, #highlight-13-text, #highlight-14-text" clicking on "#highlight-5" toggles class "visible" on "#highlight-5-text" clicking on "#highlight-5" removes class "visible" on "#highlight-1-text, #highlight-2-text, #highlight-3-text, #highlight-4-text, #highlight-6-text, #highlight-7-text, #highlight-8-text, #highlight-9-text, #highlight-10-text, #highlight-11-text, #highlight-12-text, #highlight-13-text, #highlight-14-text" clicking on "#highlight-6" toggles class "visible" on "#highlight-6-text" clicking on "#highlight-6" removes class "visible" on "#highlight-1-text, #highlight-2-text, #highlight-3-text, #highlight-4-text, #highlight-5-text, #highlight-7-text, #highlight-8-text, #highlight-9-text, #highlight-10-text, #highlight-11-text, #highlight-12-text, #highlight-13-text, #highlight-14-text" clicking on "#highlight-7" toggles class "visible" on "#highlight-7-text" clicking on "#highlight-7" removes class "visible" on "#highlight-1-text, #highlight-2-text, #highlight-3-text, #highlight-4-text, #highlight-5-text, #highlight-6-text, #highlight-8-text, #highlight-9-text, #highlight-10-text, #highlight-11-text, #highlight-12-text, #highlight-13-text, #highlight-14-text" clicking on "#highlight-8" toggles class "visible" on "#highlight-8-text" clicking on "#highlight-8" removes class "visible" on "#highlight-1-text, #highlight-2-text, #highlight-3-text, #highlight-4-text, #highlight-5-text, #highlight-6-text, #highlight-7-text, #highlight-9-text, #highlight-10-text, #highlight-11-text, #highlight-12-text, #highlight-13-text, #highlight-14-text" clicking on "#highlight-9" toggles class "visible" on "#highlight-9-text" clicking on "#highlight-9" removes class "visible" on "#highlight-1-text, #highlight-2-text, #highlight-3-text, #highlight-4-text, #highlight-5-text, #highlight-6-text, #highlight-7-text, #highlight-8-text, #highlight-10-text, #highlight-11-text, #highlight-12-text, #highlight-13-text, #highlight-14-text" clicking on "#highlight-10" toggles class "visible" on "#highlight-10-text" clicking on "#highlight-10" removes class "visible" on "#highlight-1-text, #highlight-2-text, #highlight-3-text, #highlight-4-text, #highlight-5-text, #highlight-6-text, #highlight-7-text, #highlight-8-text, #highlight-9-text, #highlight-11-text, #highlight-12-text, #highlight-13-text, #highlight-14-text" clicking on "#highlight-11" toggles class "visible" on "#highlight-11-text" clicking on "#highlight-11" removes class "visible" on "#highlight-1-text, #highlight-2-text, #highlight-3-text, #highlight-4-text, #highlight-5-text, #highlight-6-text, #highlight-7-text, #highlight-8-text, #highlight-9-text, #highlight-10-text, #highlight-12-text, #highlight-13-text, #highlight-14-text" clicking on "#highlight-12" toggles class "visible" on "#highlight-12-text" clicking on "#highlight-12" removes class "visible" on "#highlight-1-text, #highlight-2-text, #highlight-3-text, #highlight-4-text, #highlight-5-text, #highlight-6-text, #highlight-7-text, #highlight-8-text, #highlight-9-text, #highlight-10-text, #highlight-11-text, #highlight-13-text, #highlight-14-text" clicking on "#highlight-13" toggles class "visible" on "#highlight-13-text" clicking on "#highlight-13" removes class "visible" on "#highlight-1-text, #highlight-2-text, #highlight-3-text, #highlight-4-text, #highlight-5-text, #highlight-6-text, #highlight-7-text, #highlight-8-text, #highlight-9-text, #highlight-10-text, #highlight-11-text, #highlight-12-text, #highlight-14-text" clicking on "#highlight-14" toggles class "visible" on "#highlight-14-text" clicking on "#highlight-14" removes class "visible" on "#highlight-1-text, #highlight-2-text, #highlight-3-text, #highlight-4-text, #highlight-5-text, #highlight-6-text, #highlight-7-text, #highlight-8-text, #highlight-9-text, #highlight-10-text, #highlight-11-text, #highlight-12-text, #highlight-13-text"